My first of the original series Marvel comics happened to be issue number 18 (September 1978). I purchased them weekly thereafter and subsequently went back and got hold of the earlier issues, to now have the full run of 107 issues. 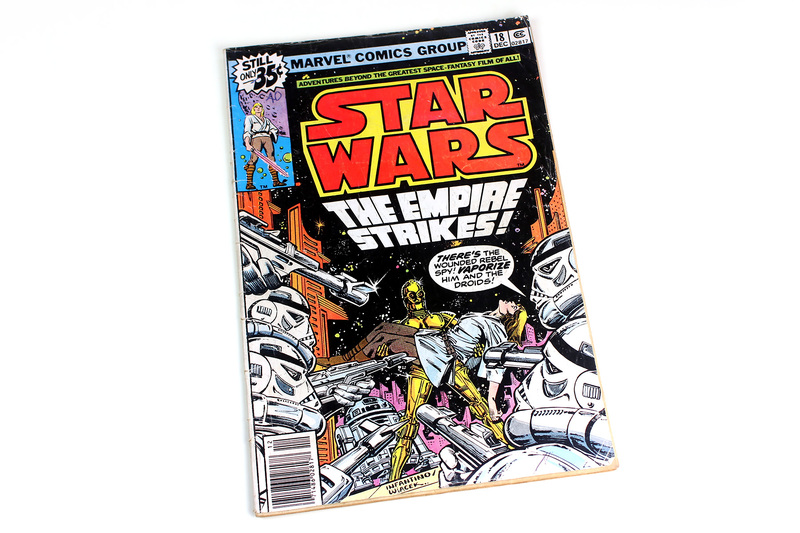 I love the cover art of issue 18 (Carmine Infantino & Bob Wiacek), and the fact that it was about the Empire Striking, well before the The Empire Strikes Back movie began its marketing campaign. Internal art was by Carmine Infantino, who was a mainstay of the early Marvel Star Wars comics, filling the pages with action, urgency, and dramatic angles. This is a fan site and is not sponsored or endorsed by Lucasfilm Ltd or Disney.